You are here: Home / Comedy / Who are the 7 best clean stand up comedians? For centuries, humor has been a unifying bond that has the strength to break down the barriers of gender, race, ethnicity, language, religion, creed, or sexual orientation. Regardless of the traits, we were born with or the manner in which we choose to live our lives, we will always share one thing: the love of laughter. While humor can be expressed in multiple forms, the art of stand-up comedy has had a dramatic increase in popularity in more recent years. These comedians often shed light on controversial or day to day issues with their personality or flair. However, more often than not, standup comedians use vulgar language or explore very mature themes. To give some context, imagine two parents wanting to watch a comedy special with their young children. Perhaps it would not be the best option if they chose to watch the dark, comedic stylings of Louis CK, Lewis Black, or George Carlin. Instead, they might want a clean comedian who can evoke hearty laughter without being inappropriate. If YOU are looking for the best clean stand up comedians, then look no further! If you have never heard of Jeff Allen, you may know him as the famous comedian who coined the term “Happy wife, happy life.” He resonates with audiences with his excellent observation style of comedy, discussing growing up in the 50’s and 60’s, being married, raising kids, and the topical issues that face America. He is indeed considered one of today’s best clean stand up comedians. A critic has claimed that Jeff Allen is one of the funniest, most inspirational, corporate comedians working today! If you are not convinced that he is the comedian for you, check out his side-splitting bit about exercise and marriage. Unless you’ve been living under a rock for the past few years, chances are you’ve heard of the brilliant, self-deprecating Jim Gaffigan. 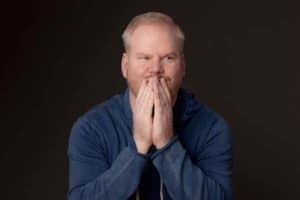 Gaffigan loves to poke fun at laziness, eating, and the love-hate aspects that go along with being married and raising children. After reviewing one of his shows, a critic said, “Most comedians these days seem to be in competition to see who can curse the most. Jim Gaffigan was hysterical without being crass and without watering down his humor. I’d recommend his shows to anyone who wants an evening of laughter.” Listen to his hilarious attack on the phenomenon that is Kale. You have not truly experienced comedy until you’ve experienced the honest, physical, and artistic genius that is Brian Regan. Regan’s humor is still fantastic, but not fully realized until you see a live performance. His rapier delivery and physicality will help you understand the absurdity of everyday experiences. “Brian Regan can turn the most mundane situations – like going to the eye doctor to get fitted for glasses, or trying to decide how many fig newtons to eat in one sitting – into the side-splitting stand-up material.” Watch as hilarity ensues when he explores what people never think about when using their ironing-board. Tim Hawkins is a multi-talented comedian who explores the disturbing, yet hilarious parts of human nature through spoken word and song. It could be said that his song is parodying, and his original cooky works could stand entirely on their own. However, he lets his talents combine for a wonderfully silly routine that involves the joys and perils that go hand in hand with marriage, raising children, and the church. If you need validation for his skills on the stage, just check out his escapade about how he intends to make his funeral fun and exciting for all. His comedy DVD’s are perfect for the whole family. Michael Jr. has a natural talent for making the trivial pursuits of a day to day life seem hilarious in their way. Whether it is childhood, marriage, church, or politics, he has a brilliant way to flip it on its head and make it laughable. Check out this funny clip of him trying to explain the concept of breastfeeding to his son. Anjelah Johnson, most famous for her time as an Oakland Raiders cheerleader and as a cast member for the long-running sketch-comedy series MadTV, is a popular comedian known for her edgy yet clean material. She discusses everything from her time as a cheerleader to her involvement in the church. Despite her more masculine demeanor, she has a hysterical retort to all those people who assume she is a lesbian. Robert G Lee is well known in the entertainment industry for his comedic chops as Hollywood’s top warm-up comic. He is earned this title through his featured appearances in over a thousand episodes of Tv Shows like The Drew Carey Show, The New Adventures of Old Christine, and Just Shoot Me, Becker. His job is to keep audiences on their toes with hilarious routines and improvisations in between scenes and costume changes. If you are not convinced of his quick wit, you must check out his routine about the overly personal questions asked when giving blood. If you are planning an event that needs a comedian who can appeal to the whole all ages, then you’ve met your match with Jeff Allen, Jim Gaffigan, Brian Regan, Tim Hawkins, Michael Jr., Anjelah Johnson, or Robert G. Lee. Based off of the descriptions and the clips. 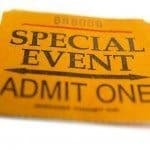 Hopefully, you can find the one of the best clean stand up comedians that fit your audience. Who do you think is the best Stand Up Comedian?